Historically, railroad workers have faced dangerous conditions when on the job. While changes in technology, advancements in safety warning, improved alarm systems, and more comprehensive regulations have reduced the number of accidents and deaths, railroad workers continue to face significant occupational hazards. For rail workers, the environment can change drastically, depending on the weather, technological malfunctions, or other variables. Workers are required to quickly adapt to these changes and react quickly. Even the most seasoned railroad workers are put at risk. According to a recent report in the LA Times, The Federal Transit Administration has directed all rail agencies to review their safety practices. This directive is for all public and private rail users due to an increase in the number of accidents and injuries on American railroads. Our workers’ compensation lawyers are dedicated to helping victims of work-related injury protect their rights. We are also committed to raising awareness regarding trends in work-related accident and injury in Massachusetts and nationwide. Rail agencies are being required by the FTA to review their safety policies and report back in the next few months. The FTA is looking to eliminate agencies that rely exclusively on workers to steer clear of trains. Agencies that rely exclusively on workers to steer clear of other trains are not given additional technological or advanced warning of another train. 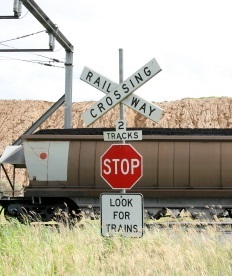 The act of using workers to look out for other trains without additional protections creates significant hazards and the potential for collisions. The move by the FTA is a response to an October collision in the San Francisco area that killed two workers. According to reports, BART was training managers to drive trains in the event that workers were on strike. During mid-October a 66-year-old and a 58-year-old employee were killed. The agency was using a practice known as “simple approval” or looking out for other trains with no other protection. Since the accident, The National Transportation Safety Board is making broad investigations into such practices and has issued an “urgent recommendation” requiring that train agencies use multiple safety and warning systems. Train companies are being required to improve warning procedures, beyond the “simple approval” method. In addition to the investigation, the NTSB has also demanded that FTA conduct a review of general safety practices. Agencies have a deadline of February 28 and must submit an additional “formal hazard analysis” in May. The overhaul is aimed at ensuring that each individual train agency has implemented appropriate safety practices. According to the FTA, 28 rail transit workers have been killed on the job since 2002. These workers were on the job, making efforts to maintain and improve the rail transit system. The FTA, NTSB and the U.S. Department of Transportation are making a collaborative effort to quickly and effectively identify issues in safety procedures and protocols that could be putting the nation’s railroad workers at risk. The agency reported that the other railroad worker deaths occurred throughout the nation, in Washington D.C., Chicago, Houston, New York, Sacramento, Miami, and Boston. Winter Risk for Miners in the Northeast, November 8, 2013.